I am huge fan of Pokémon games but I haven't watched the anime that much. As lots of guys here know that Master ball is the ball which catches Pokémon without failing. Today I ran into an argument with a friend of mine regarding the Master ball. He said that the Master ball had failed one time in the anime, but I disagreed that it can never happen. But he said that he had watched it once but can't recall now. Had the Master ball really failed or not? 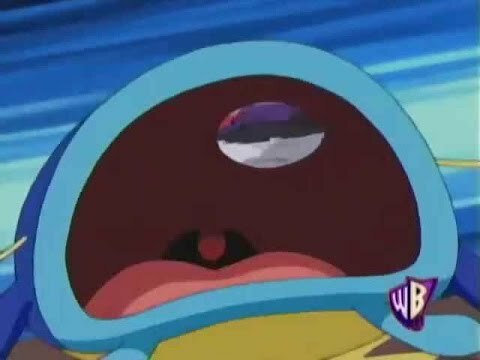 In Episode 35, titled Whiscash and Ash, Season 7 of the Pokemon series, a Whiscash swallows a Master ball thrown at it. This was widely interpreted as a Master ball fail. Do people in the anime or manga actually eat Pokemon? Is Ditto a Failed Mew Clone? Are there any other uses for a Pokeball besides capturing and storing Pokemon? Why was Pikachu chosen to be the main Pokemon of the anime? How many trainers in the anime have Legendary Pokemon?